Polish composer Xaver Scharwenka was one of the most important and popular composer-pianists of the late 19th century, touring to the USA a total of 26 times. His four piano concertos were once cornerstones of the concerto repertoire. 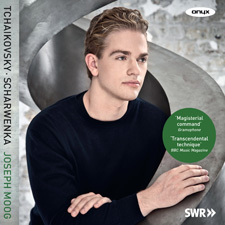 The music for his Polish Dance op.3 no.1 sold into the millions, and the First Piano Concerto was admired by Liszt and Tchaikovsky, whose G major sonata is paired with Scharwenka’s Second Sonata on this CD. His neglect is unjustified, and his concertos and sonatas merit reappraisal.